An offshore bank account is a must for many internationally mobile expats operating in the UAE and Middle East. But finding the right bank with the right extras as well as high service standards isn’t easy. 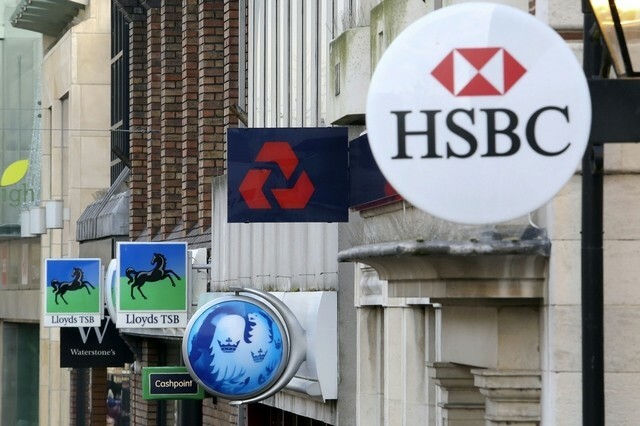 There are plenty of big names to choose from, including the global operators Barclays, Lloyds Bank and HSBC. But when Robert Salmon looked to open a new offshore bank account, he wanted something different. Rather than approaching a bank himself, he set up his offshore account through his independent financial adviser. It recommended the lesser-known South African private bank Nedbank that makes customer service a priority. Mr Salmon is moving all his services over to the new bank, including his investments and a mortgage. He also uses it for everyday banking services. But different expats have the different needs. So how do you find the right offshore bank account? Offshore banking isn’t just for the mega-rich looking to hide their wealth from the tax authorities in their home countries. It is a practical way for internationally mobile expats to manage their money in multiple currencies, sparing them the bother of opening bank accounts in several different countries. It also means they can retain the same account, regardless of which country they head to next. To find the right account for you, work out what services you want and how much you are willing to pay for them. You can set up a basic current account to handle everyday money, including salary transfers, rent and utility payments, with other services such as a chequebook, and debit card. Alternatively, you can make the step up to offshore private banking, offering the full range of financial services. There are more than 300 offshore accounts for UAE residents to choose from, according to the money comparison site Souqalmal.com. When moving overseas, the simplest option is to set up an offshore account run by your domestic bank, if it offers one. It may make the application process more straightforward and bank charges are typically lower, say, when transferring money between your onshore and offshore accounts. Most banks slap on extra charges when making international transfers to a rival bank. The HSBC Premier expat account, for example, charges £15 (Dh83) for a transfer to an account held with any other bank, whereas transfers to other HSBC accounts are free. Check rival banks to see if they offer extra services, such as a higher return on your savings. But with global interest rates at record lows, don’t expect much of a return. You can get slightly more if you are willing to lock your money away for a set period; Santander pays from 0.90 per cent on its one-year fixed rate bond and 1.15 per cent a year on its two-year bond. Lloyds Bank’s euro Bonus Saver Account pays just 0.15 per cent, which falls to 0.05 per cent after 12 months. An online price comparison site will help you filter search results based on the provider, type of account, minimum balance, monthly fee, Sharia compliance and other criteria important to a prospective customer. And remember, offshore accounts are not only accessible from international banks. Some local banks offer accounts through their subsidiaries in various offshore jurisdictions, says Ambareen Musa, Souqalmal.com’s founder and chief executive. Offshore banking gives you protection against political risk and currency risk. “For expats living in GCC countries, they can also be useful if you don’t want your savings or investments to be subject to local laws,” Ms Musa says. Before opening an account, Ms Musa advises finding out how much of your money in these accounts is protected against risks such as bank insolvency. The Isle of Man, Guernsey and Jersey all run depositor compensation schemes covering up to £50,000 in your account in case your bank goes bust. Swiss banks cover the first 100,000 francs (Dh376,828) but there is no depositor protection against bank collapse in the Cayman Islands. If your savings and investments exceed these limits, it may be worth spreading your money between different accounts in different jurisdictions, to ensure protection. Offshore private banks may set higher minimum levels. Citibank, for example, requires a minimum $100,000 and HSBC requires new customers to hold a minimum of £60,000 of deposits or investments. Be warned, you may face hefty charges if your balance falls below a certain level, starting at $10 a month. Fees for exceeding your overdraft can be punitive, starting at $45 and rising the longer you stay overdrawn. And if you plan to send large sums overseas, check how competitive your bank’s currency exchange rate is. Although many offshore bank accounts don’t impose monthly charges, others do, notably Lloyds Bank’s International Current Account, which charges £7.50 a month and NatWest International’s Gold account, which charges £15 a month. When comparing savings accounts, check whether there is a lock-in period with penalties for early withdrawal, which can run to hundreds of dollars. Also, while many offshore current accounts offer debit and credit cards for withdrawing cash or spending overseas, Ms Bhambri warns that extra charges can apply when using your cards in a different currencies. Many banks charge a fee of around 2.75 per cent plus you may have to pay transaction charges for overseas cash withdrawals. Withdrawing cash on a credit card is particularly expensive because interest is charged from day one, you don’t benefit from the typical interest-free period of around 50 days available on many standard credit cards. Setting up an offshore account may have some tax advantages, but it won’t help you escape your local revenue service forever. The tax treatment of your money will vary depending on your home country and where you plan to finally repatriate it. US citizens, including non-residents, face an aggressive regime that charges tax on income they earn anywhere in the world. This includes money held in offshore accounts with harsh penalties for non-compliance. You don’t need to be a millionaire to benefit. Mr Gilbert says offshore banking can work for those with just $70,000 in savings or investments. Some options also offer wealth management services, with access to investment funds and discretionary management easily and affordably on a single platform. For most expats, the benefits of setting up an offshore account are easy to understand. But deciding which account is more complicated.